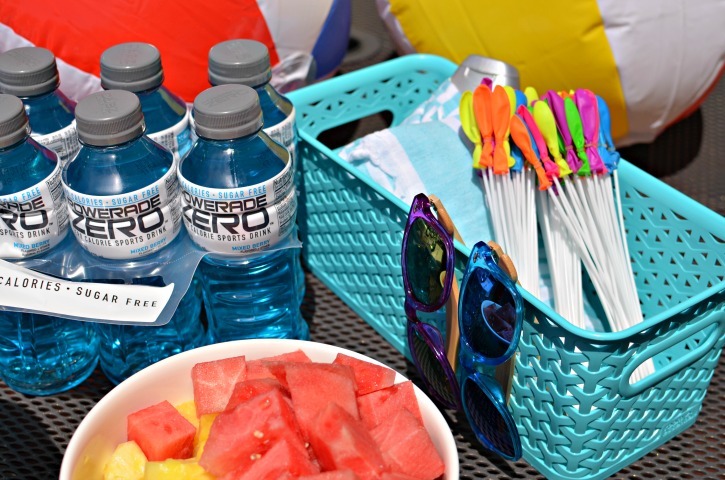 Summer is kicking off and since so much time is spent outdoors in the blaring sunshine; it is important to make sure to stay hydrated throughout the day. 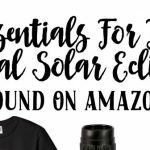 Nobody really wants to take a break from playing in the sunshine so why not bring the hydration to them? 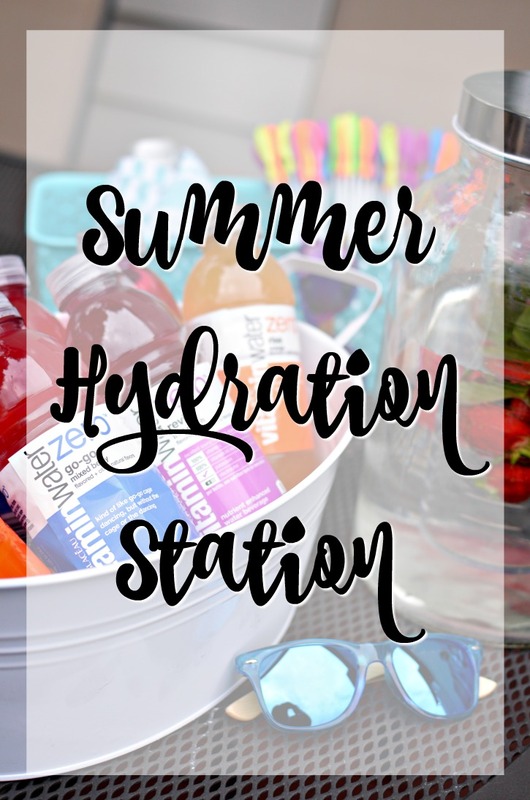 I’ve created a fun summer hydration station that is perfect for these warm summer days. 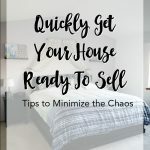 Check it out below and have fun crafting your own! 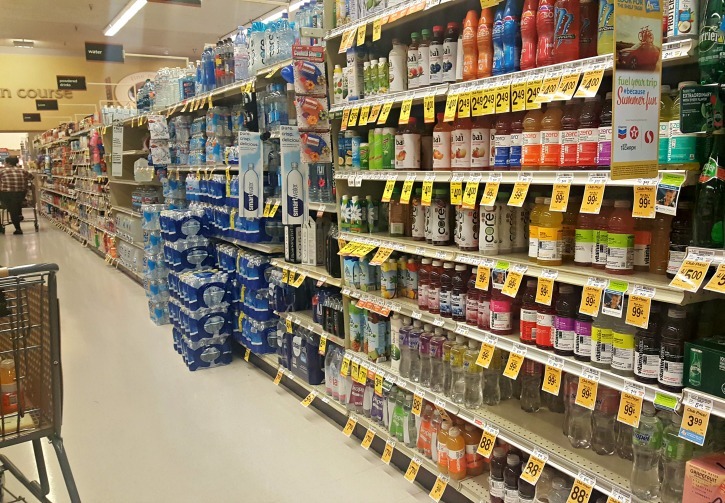 I wanted to make sure and feature a variety of options for thirst-quenching needs. I headed to Safeway and picked up vitaminwater and Powerade Zero to pair with some strawberry-mint infused spa water. Right now, there is a special Text To Win contest happening at Albertsons and Safeway stores. Buy participating products at Albertsons or Safeway and get a text to win code for a chance to Win a Trip for 2 to a Wellness Retreat in Palm Springs, CA! I didn’t see this display set up yet at my store but I’ll definitely be keeping my eyes open for it so I can try to win. Our deck was the perfect location for this station. I can easily go into the kitchen to replace the melted ice to ensure that the vitaminwater, Powerade Zero and spa water stay nice and chilled. It also gives people some chairs to sit and relax while they enjoy their drink and re-hydrate. 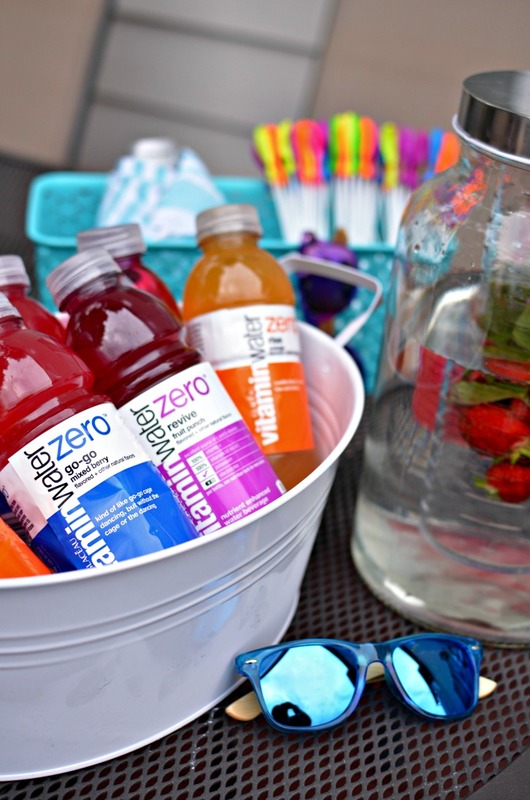 There are so many delicious vitaminwater zero flavors to choose from (the go-go mixed berry is my favorite). For my Summer Hydration Station, I picked up a variety so that each person could select their preferred flavor. In addition to drinking for hydration, I added another fun way to hydrate – water balloons! These water balloons fill straight from the hose which can make hours of entertainment with only a few minutes of prep. 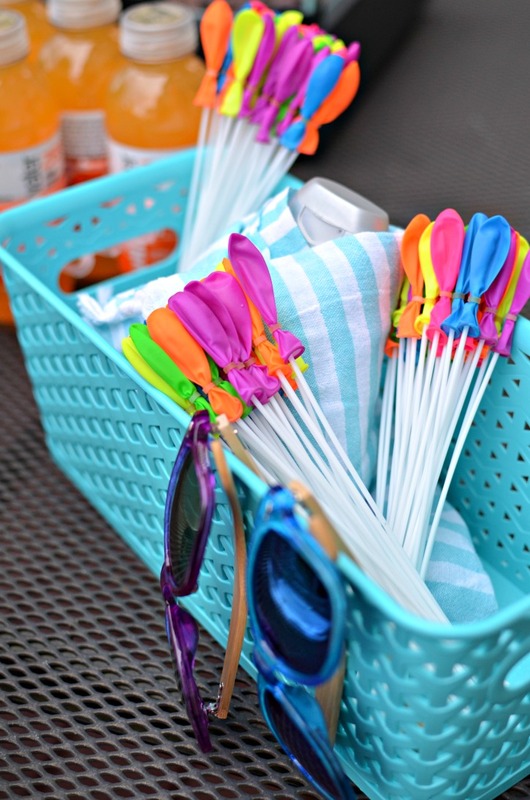 It is also important to stay safe in the sun through eye and skin protection so I included sunscreen, a light weight beach towel, and sunglasses to the basket. When taking a break from playing to get something to drink; it is a great time to reapply sunscreen. Rounding out my Summer Hydration Station is a big bowl of fresh pineapple and watermelon. 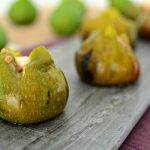 These fruits scream summer and the bite size pieces are perfect for grabbing on the go between games of corn-hole or ladder golf. 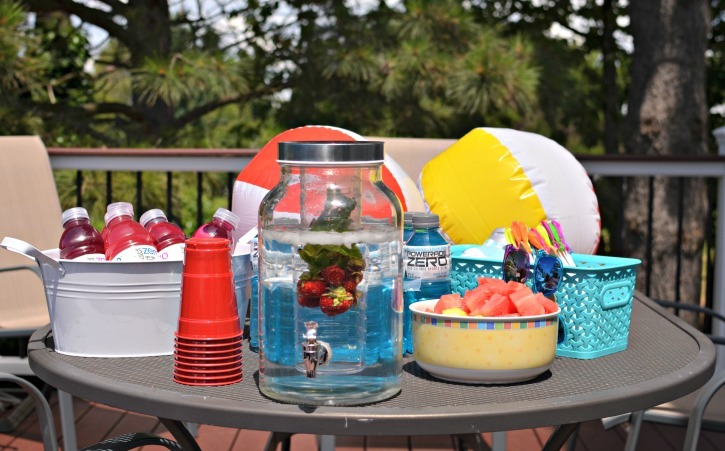 Have fun creating your own summer hydration station! What other items would you include? Since Rosie has POTS, it’s super important that she stay hydrated. This would be a fun way to entice her! So fun! Love the balloons. We do a lot of creative things to stay hydrated in our super HOT summers in Vegas. Oh my gosh! 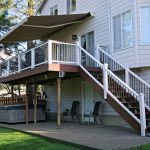 We’re throwing a party this weekend and this will be the PERFECT thing to add to it! This is a great way to stay hydrated! Sometimes people can bypass hydration when they’re not really exerting energy. I love the balloon idea! great set up! I’ll keep this in mind when i throw my next BBQ.